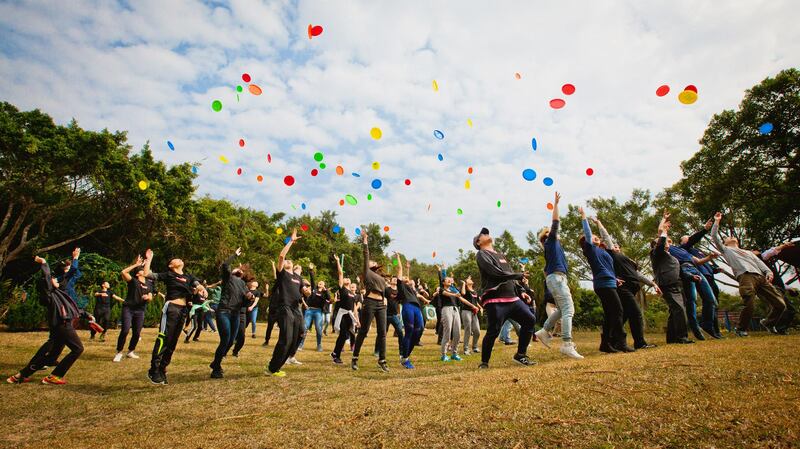 RYLA began way back in 1971 and has gone from strength to strength. And why? Like all things that last a long time the answer is simple. Rotarians back youth. Rotarians have a fundamental belief that the future is in the hands of youth. RYLA, in just about 170 countries, brings together young people within the age range of 14 - 30 and puts them through a programme, a training experience, that increases self-confidence and develops skills that are required for leadership in business, government, public service and just about everything that RYLARIANS will enter into in their adult life. 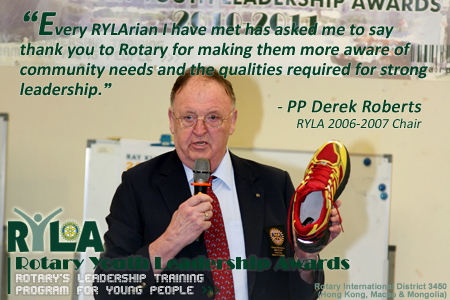 I have been fortunate to have experienced RYLA programmes in the UK, Australia and Hong Kong. I have been fortunate to see the end result. Each RYLA programme gives exposure to values essential to future leaders. Each training programme is the result of many hours of meetings to make sure that it will enhance ethical behaviour, intergrity of character and a strong commitment to community service. It is no exaggeration for me to say that every RYLARIAN I have met has asked me to say thank you to Rotary for making them more aware of community needs and the qualities required for strong leadership. I end with a wish, a hope. I wish and hope that all our RYLARIANS become Rotarians and, themselves, have an opportunity to help plan a future RYLA Programme.